Britain holds talks with MPs after no-trust vote, Oppn leader rejects talks. 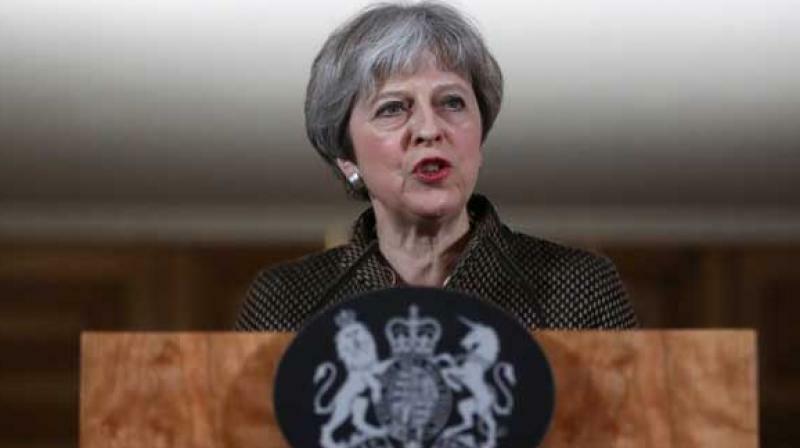 London: British Prime Minister Theresa May scrambled to put together a new Brexit strategy after MPs rejected her EU divorce deal, and insisted she could not rule out a potentially damaging “no-deal” split. The world’s fifth-largest economy is in political turmoil and grasping for solutions that could smooth its planned departure from the bloc after 46 years just 10 weeks from now. Governments across Europe are triggering plans designed to avoid logjams at ports and airports when trade barriers go up should London fail to find a Plan B. The government held individual talks with MPs from rival parties after narrowly surviving a confidence vote brought on by the crushing defeat over her old deal with Brussels on Tuesday. But Jeremy Corbyn, the leader of the main Opposition called the talks a “stunt” and refused to meet May until she ruled out the possibility of UK crashing out without any future arrangements in place. In a written response to him, the PM said it was “impossible” for her to rule out no deal without stopping the process altogether. “It is not within the government’s power to rule out no deal,” she wrote. May will present her new approach to the House of Commons on Monday. MPs will then have a chance to submit amendments before a full debate on January 29 — exactly two months before Brexit date. Downing Street on Thursday said on May would miss next week’s annual World Economic Forum meeting in Davos, which she was scheduled to attend, to focus on Brexit negotiations. Meanwhile, leading Brexit campaigner Nigel Farage urged Leave campaigners to prepare for the event of a second referendum as Britain’s deadlock continues. “I don’t want it anymore than you do but I am saying to you we have to face reality,” he told a Leave Means Leave rally in London.